Enantioselective deprotonation of diamidoferrocene 1g with the n-BuLi/2-complex, followed by addition of Ph2PCl, provided enantiomerically pure monophosphine 1h after a single recrystallization. 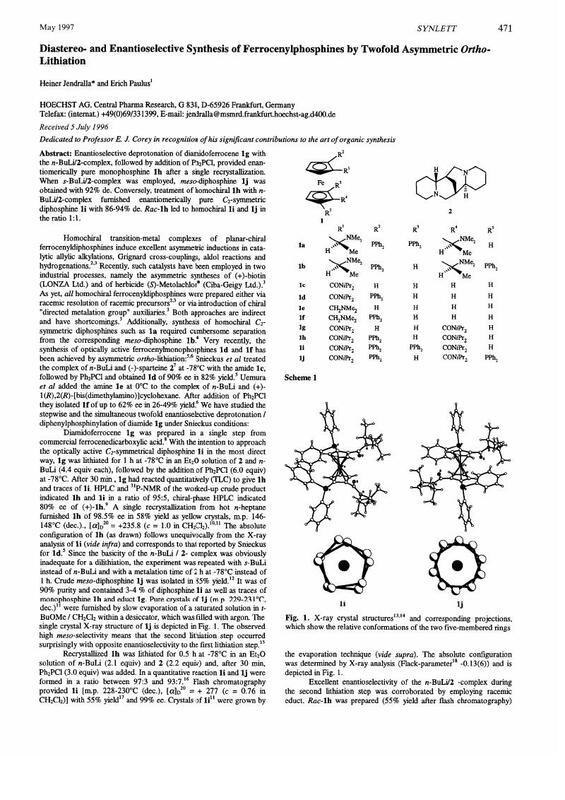 When s-BuLi/2-complex was employed, meso-diphosphine 1j was obtained with 92% de. Conversely, treatment of homochiral 1h with n-BuLi/2-complex furnished enantiomerically pure C 2-symmetric diphosphine 1i with 86-94% de. Rac-1h led to homochiral 1i and 1j in the ratio 1:1.